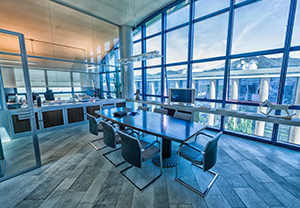 DMC Facilities Management provide professional office cleaning in Leighton Buzzard. The need for high standards of cleanliness cannot be underestimated. Visitors to your premises will be judging both your brand and image, the condition of your premises can have a positive or negative impact leaving a lasting impression. Our range of cleaning services in Leighton Buzzard is vast and has been built up by customer demand. We provide a variety of commercial cleaning services from commercial property cleans, periodic deep cleans, one-off cleans, builders cleans, high level cleaning, specialist floor cleaning to name a few in the Leighton Buzzard area. In addition working in a clean and hygienic environment can improve the motivation and effectiveness of a workforce and help prevent the spread of bacteria resulting in a reduction of absenteeism due to staff illness. DMC Facilities Management deliver daily cleaning service to clients based in a wide variety of sectors which includes Offices, Schools, Leisure/Retail just to name a few. We work 24 hours a day, 365 days a year, throughout Leighton Buzzard to ensure customer satisfaction. Whatever your premises, from small offices and retail units to large commercial premises and multi-site contracts, heavy industrial and manufacturing plants to healthcare environments, our dedicated cleaning teams, supported by local service managers, can provide a service which is tailored to your needs. Our experience, management systems and professional support team allows us to provide you with a consistent, high-quality service that will mean your premises always look’s its best whilst maintaining high levels of hygiene. Should you have a problem or an enquiry, there will always be a helpful representative waiting to assist. Contact us and let us put together a tailored quote which will meet your specific needs as well as your budget.